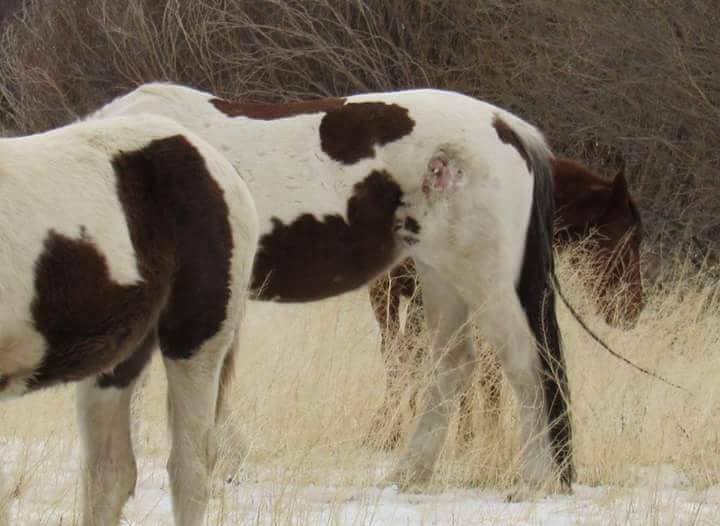 Many of us have discovered, over time, a lot of exploitation as well as false and misinformation given to the public, by non-profits – especially within the wildlife and wild horse worlds. Corruption is at its utmost peak right now, and wildlife, and in particular America’s Icon’s – the Wild Horses, sacrificed under this spellbound corrupt world of profits only AND TO HELL WITH ALL ANIMALS. Misinformation and deception is way out of control right now. Debates and controversy exist, which no one can resolve, because there is nothing to resolve when misinformation and outright lies exist. How could there be resolution to such tales of corruptness, other than more corrupt meandering, all the while sacrificing everything but profits? Below we are Publically asking, and many say that it is about time to do so, that those who support through advocacy or sales (actually advocacy of the Pesticide PZP and sales or profits are one and the same) the use of Pesticide PZP upon America’s Wild Horses, need to start publishing to the public well referenced and truthful information of it actually saving, or making a safe situation, or is safe what so ever to America’s Wild Horses. Yes, we are asking, and I repeat, is the Pesticide PZP of benefit what so ever to Wild Horses? Rhetoric is no longer acceptable — we need to review truthful and verifiable references, historical (long-term) outcomes that can be verified, and checked for accuracy, as well as definitive results, provable and checkable, of all Pesticide PZP use over the past 4 years. Yes, we are asking for nothing more than accountability and responsibility from those who are getting rich off of the Wild Horses and darting them with a Pesticide known as PZP. Make no doubt we will also check the refences as well as the data for truthfulness and accuracy, as their truthfulness has come into question quite often over the past couple or three years. IT IS TIME TO STOP DEBATING, TOO MUCH MISINFORMATION AND LIES GIVEN TO THE PUBLIC = CONFUSION — IT IS TIME FOR TRUTH FROM NON-PROFITS WHO CLAIM PESTICIDE PZP USEFUL AND POSITIVE FOR WILD HORSES! BY LAW THEY MUST DO SO — TO ALL THOSE WHO REQUEST THE INFORMATION — WELL REFERENCED EASILY OBTAINED INFORMATION TO BE CHECKED IN TOTAL FOR ACCURACY AND TRUTHFULNESS! There exists no positive-resolution for the use of Pesticide PZP — ROUNDUPS HAVE INCREASED — VIABILITY OF HERDS/BANDS, IF NOT LOST ALREADY — 60% of the 139 herds left on Public Lands are non-viable any longer due to stallions disappearing and combined with use of Pesticide PZP, ON THE VERGE OF BEING LOST FROM and due to sending stallions to slaughter and / or gelded — i.e. another 38% near losing their herd/band viability as we speak, leaving a mere 2% that have any viability what so ever — Pesticide PZP use damaging to Mares with no resolution from its use. MANY OF US IN THE FIELD SEEING THE FACT PESTICIDE PZP NOTHING MORE THAN A ROUSE, A DECEPTION OF COSTLY PROPORTION, AND AT THE SAME TIME STERILIZATION OF MARES AS WELL AS LIQUDATING STALLIONS BEHIND THE SCENES, AND FROM THE ADDITIONAL ROUNDUPS SLATED FOR PESTICIDE PZP USE. 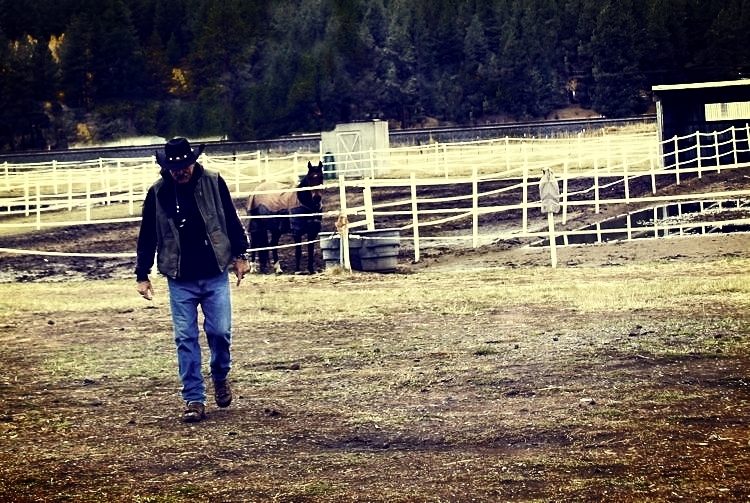 The fact is there are too many conflicts of interest with BLM and welfare ranchers, HSUS and DIRECT connections as well as family ties to welfare ranchers, and the forestry; whereas, we find these circumstances lead to those involved making a lot of money from several sources, all the while sacrificing the wild horses. Proof would be a well referenced, well statistically based format of facts and figures (and shown how the facts and figures and data retrieved and assimilated), which can be checked for authenticity and accuracy and truth, given to the public by HSUS (Humane Society of the United States) WHE (Wild Horse Education) RTF (Return to Freedom) and AWHPC, who state Pesticide PZP saves wild horses, but we are not seeing that situation what so ever in the field. THE TAXPAYING PUBLIC AND DONATORS NOW WANT PROOF TO SUCH EXTREME EXPENDITURES, BUILT ON LIES MOSTLY — TIME FOR THEM TO PROVE TRUTH, NOT MORE LIES! This CAN BE DONE BY LAW AS WELL, AS THE INTERNAL REVENUE SERVICE PRESCRIBES FOR ALL NON-PROFITS TO MAKE AVAILABLE ALL INFORMATION IN THE MATTERS OF THEIR NON-PROFITS, AND THAT INCLUDES STATISTICS AND APPROPRIATE NUMBERS SHOWING US, AS THOSE WHO DONATE TO THESE SUPPOSED ENDEAVORS, CAN BE PROVEN IT IS BEING ACCOMPLISHED. TIME TO BACK UP WHAT YOU STATE — AS THERE SEEMS TO BE A LOT OF NAME CALLING FROM THESE NON-PROFITS, BUT THERE IS NOTHING MORE THAN NAME-CALLING — TIME FOR THE PROOF! In this period of American history we find many contradictory situations. Frankly, the Wild Horses of our Public Lands, merely used as pawns, in the game to riches and government budget building, increased payrolls, and outlandish equipment purchases, maintenance of the same equipment, as well as price of fuel. . . in both the Forestry (USFS), and the Bureau of Land Management (BLM). The American Taxpayer, or Donator to non-profits, continue to be taken for the ride on the tails of misinformation, lies, pursuit for the mighty dollar as their god, and simultaneously disenfranchise honesty, or truth, for this mediocre dishonest false-premise of saving our Wild Horses. Amazing that many people even go for the scam what so ever – but you can fool some of the people some of the time . . . Currently the ruling classes (the 1% wealthy) simply protect themselves. Monetary profits have never been higher, 40%+ now within the standard corporate premise of business, above and beyond anything else throughout the historical Industrial-Age in the matters of Capital Gains or profit margins. No doubt politics taken over by business, actually socialism is the term and defines the situation quite well. Representative-Democracy, in reality, no longer exists. But on a positive note, the youth of today is not accepting neither the Industrial-Styled Democracy of socialism, nor the sacrifices it presents in order to maintain such a system. Change is inevitable, but slow in coming, unfortunate for the Wild Horses today – as many led by large groups that have acquired a mentality to support deception, lies, misinformation, as well as just blatantly bad propaganda . . . but people will be human, will they not? Even though we consider ourselves a Humane Nation, in truth the term merely a convenience, rather than a truth. We provide ourselves with an ethical mind-set, in name only. Conclusively, we seem to follow the unethical and those who lack scruples, most often due to empathy or an odd willingness to be led, rather than think individually, or with common sense as a premise. . . Somehow, beyond reason, this has become popular; which, along with hate or animosity directed at, well, whoever the group or mob manipulators point to. These manipulators are the 15% of criminals who function within our society, unhindered by law mostly, and have become corporate executives, politicians, government agency Administrators and budget personnel, wildlife administrators’, as well as sit upon boards or committees who perform oversight, mostly derived of legislators also, or the leaders-Administrators of many non-profits as well as others who subordinate much of the Humane-Nature perspective toward ethics that we use to have years ago. . . In the 1800’s when grass was knee high in all the western states, over 2 million wild horses roamed the West along with 60 million bison. By 1900, the bison were nearly exterminated and the wild horse population drastically reduced. As a result of a massive letter writing campaign in 1971, PL 92-195 “The Wild Free-Roaming Horses and Burros Act” was passed unanimously and protected wild horses and burros from slaughter, harassment, and capture on public lands. The Act acknowledged, “Wild horses and burros were fast disappearing from the American scene.” In 1974, the first wild horse and burros census counted 60,000 animals. So off we go down the road of misappropriation of taxpayer money, or one can say also, those who contribute to non-profits also, only to discover later their support ignored, and their money simply increased the non-profit’s administrator’s lifestyle – especially large non-profit, no different in the case of Wild Horses actually, then contributing and supporting the Bureau of Land Management (BLM). But wait a minute, these non-profits, as their rhetoric state clearly, is to protect America’s Icon’s the Wild Horses from the BLM, not support BLM falsehoods or negligence, or abuse . . . but they do – sadly. Oddly, we do not find the amount of representation, from many large non-profits, that come close to not only their promises toward resolution beneficial (in this case scenario) to America’s Wild Horses on our Public Lands, but find a mere 1% to 3% of donation-money, spent toward these same assumed potential resolutions. We also found, and even more troubling, they never bothered to even show up at 68% of the situations they collected money to resolve, and yet lied about being there and taking part – or very distastefully, took the credit for another’s endeavors in saving our wildlife or horses, on occasions. Yes, very disgusting people, undoubtedly. Isn’t it odd, we live in a country made up of Laws, but many people, those who their god is money, do not, apparently, have to abide by these Laws – Interesting to say the least . . . so they say . . .
Isn’t it odd, no doubt as well, many of these people assume they are what their job classification is or is not, and within or part of the size of their large group – and the power-base for these ignorant people, these mind-sets of simplicity, the vulgar, the inept, and the good little Nazi’s, or the good little (fill-in whatever large group you wish here) and off we go down the road of manipulation, of a tenacity of crude behavior, and ignoring-Law in place of whatever the need that does develop – that they assume their group better than, and subjectively re-do the Law in accord with their corrupt behavior – I suppose they assume we do not notice this fact of all facts. Photo is a Pesticide PZP Darted Horse, Abscessed — very common Darting- Result BLM, HSUS, or their supporters care to admit! Also, they do not want the public to know the Pesticide PZP often does not work, nor does it control population — but the extravagant situation of removing stallions (shipped directly to slaughter from the roundups — or cutting them) and use the numbers of less birth within a false premise and nothing more than misinformation . . . one of many maneuvers of the BLM / HSUS monopoly of Pesticide PZP and their misinformation campaigns. Wild horses and burros now reside on 34,549,570 acres of the 261,950,378 BLM acres.. Although nearly 70% of the HMAs have less than 100 animals, the absolute minimum number of wild horses and burros in each HMA should be 150 animals to prevent loss of the genetic diversity (Dr. E. Gus Cothran-University of Kentucky). This figure is based on optimal conditions and does not take into account Acts of God such as drought, deep snow, fire, etc. The majority of Herd Areas contain more livestock than wild horses and burros. 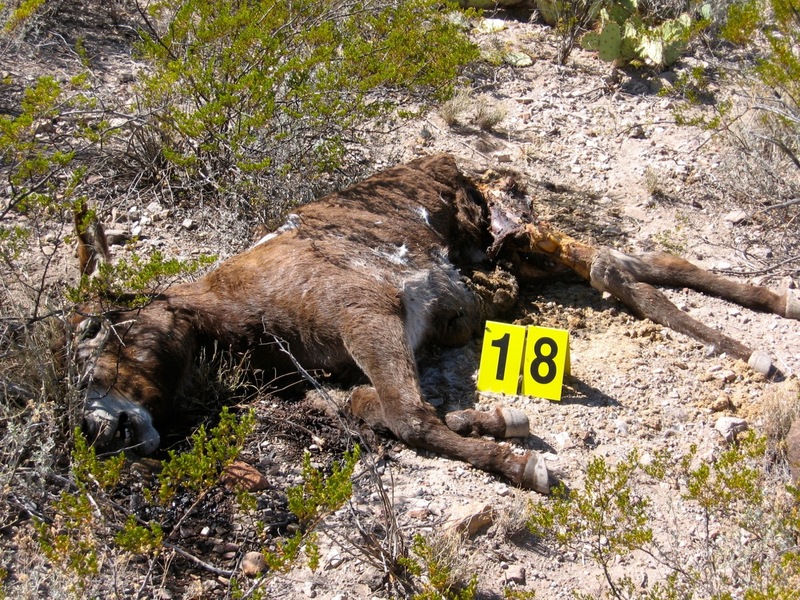 CFR 4710.5 was designed to protect wild horses and burros during anticipated droughts and other Acts of God by closing the HMAs to livestock grazing. This CFR is rarely implemented. In the few cases it was implemented, wild horses and burros were permanently removed while livestock returned a few months later. Cattle on public lands represent only 2.6% of the beef eaten in the U.S. The rest of the beef comes from private ranchers who pay $20 to $50/AUM to lease private land. 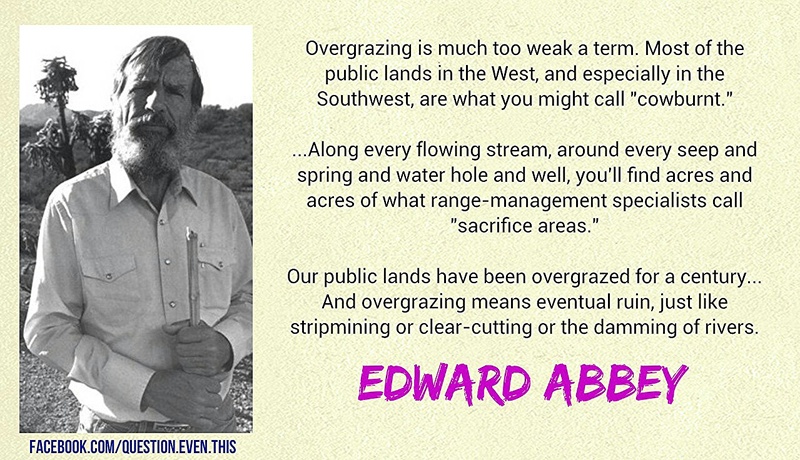 The cost to graze cattle on public lands is $1.79/AUM. All of this goes into a Slush-Fund, within the forestry and BLM book keeping process of this money, which in turn is returned to the BLM/ Forest Service “Range Betterment Program.” These monies go back to the rancher for range improvements. 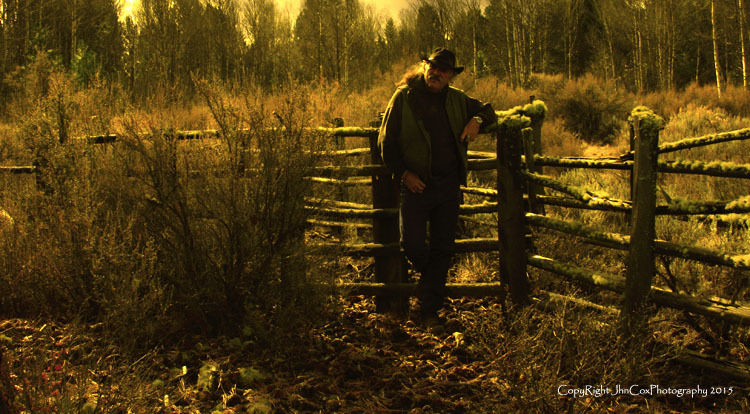 The Public Lands Grazing program costs taxpayers one-half billion dollars yearly. Based on the annual economic income growth from 1990-1997, the loss of all federal grazing in 1997 would have caused income growth in eleven western states (ten of which wild horses and burros are located) to pause for eight days. This means that direct income and job losses could be made up in a matter of a few days by the normal expansion of the economy. (University of Montana – Missoula). . .
Strangely, many horse advocacy groups, corrupt in nature and following the Pesticide PZP band-wagon of lies, misinformation, and bad childish propaganda, have become nothing more than large and extravagant hate groups. Donated money is nothing more than used for extravagant life-styles of the administrator of these groups, or new trucks, new homes, but the truth is very little goes toward saving wild horses. In the past 15 years, with these current groups at the helm, we see not much has changed what so ever. We have also seen the situation of the Pesticide PZP come full circle for use, using misinformation and lies only. The 7-year process it took to register the Pesticide as a Pest-Control product for population control, was dead-in-the-water before HSUS become involved – then suddenly (i.e. payoffs?) the pesticide was registered – and registered as a pesticide (as Mr. Hebert explains, it is a pesticide and proper labeling required as such – and the register-administrator of the pesticide at the EPA) due to the destruction that takes place in the wild horse, or deer, or whatever, to control the pest population – see registration documentation for further study, if you dare. Confusion is the BLM, their supporters, and HSUS’s game plans; although, it will be a short ride, when people actually realize how destructive and costly, both in sacrifice of America’s Wild Horses as well as money.